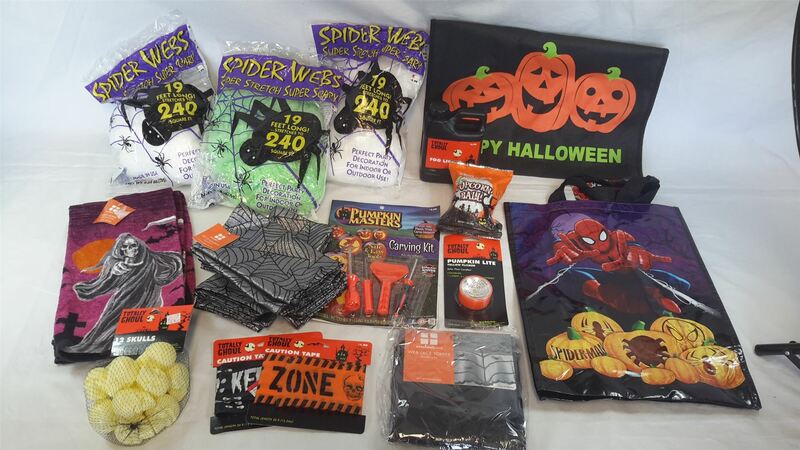 This is a wholesale lot of 55 various Halloween Decor and Party Items. This lot contains a mixture of items such as spider webs, tablecloths, kitchen towels/pot holders, napkins, trick or treat bags, carving kit and even some pez dispensers. See pictures for examples of what you'll receive. These items are new, mostly still with original retail packaging/tags. Click the button below to add the Wholesale lot of 55 Miscellaneous fun Halloween Decor Party Items See description to your wish list.